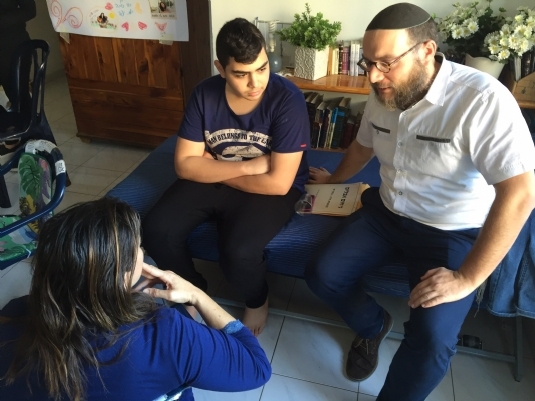 Our Chabad’s Terror Victims Project (CTVP) group has just returned from making highly emotional shiva calls to the families of two young Israelis brutally murdered during the recent wave of horrific terror attacks sweeping across Israel. Ziv Mizrahi was only 18 years old. He had been in the Israeli army for just nine months when he was stabbed to death by an Arab terrorist at the Dor Alon gas station on Road 443 just outside Jerusalem. 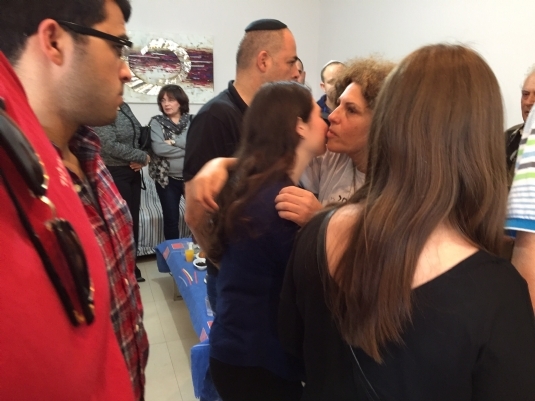 This was not the first time the Mizrahi family had their world shattered by terror. Twelve years ago, Ziv’s cousin, Alon Mizrahi, was murdered when an Arab terrorist blew himself up in an attack on Café Hillel in Jerusalem. 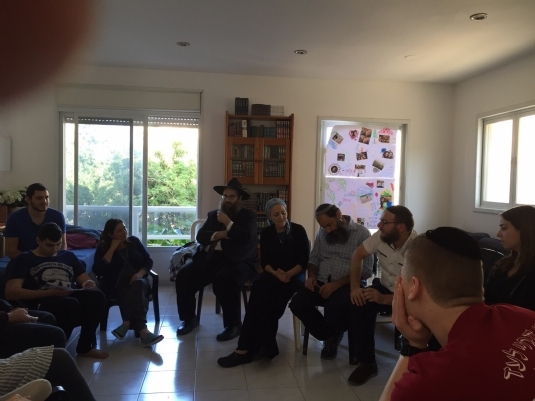 Ziv’s family lives on a street in Givat Ze’ev that was named for his cousin. 21-year-old Hadar Buchris of Tzfat in northern Israel was also viciously stabbed by an Arab terrorist as she waited for a ride at the Gush Etzion Junction. She was rushed to Shaarei Tzedek Hospital in Jerusalem under sedation and on a ventilator. Doctors tried desperately to save her but she died on the operating table. Two young Israelis tragically cut down because they were Jews. Two families left bereft and in need of the support and help that CTVP brings to every family shattered by terror. We were accompanied on these heartrending visits by students from five Chabad on Campus chapters in the United States and Canada. They heard the tragic story of the father and brother of Sarah Litman who were murdered in a terror attack just before she was to marry Ariel Beigel. The students responded from their hearts when they found out the young couple wanted the world to attend their wedding to show the strength and resilience of the Jewish people. 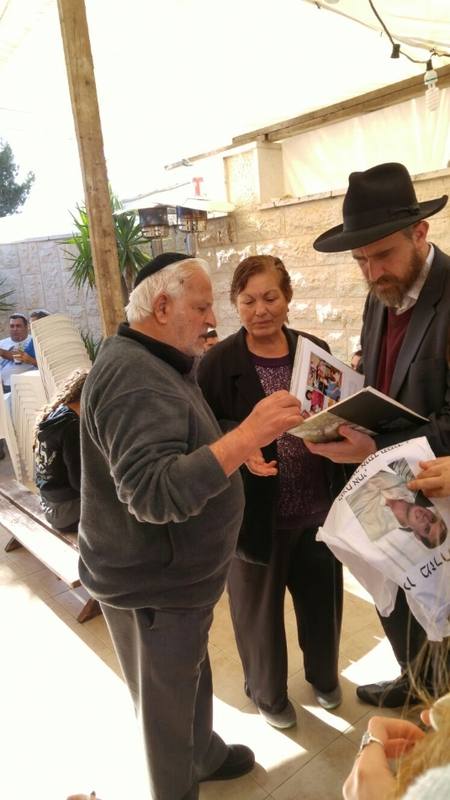 The students raised money and sent representatives to Israel to attend the wedding. 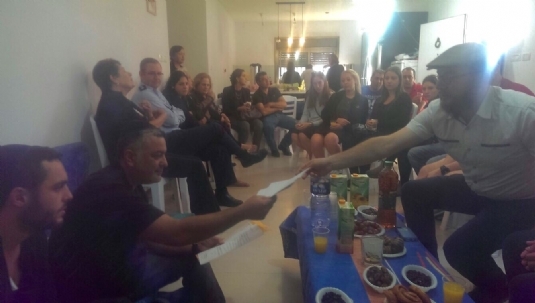 Then they joined us at CTVP to visit the families of two terror victims to bring them courage and support and to show their deep solidarity with – and love for – their brothers and sisters in Israel. Today was an incredibly powerful experience. 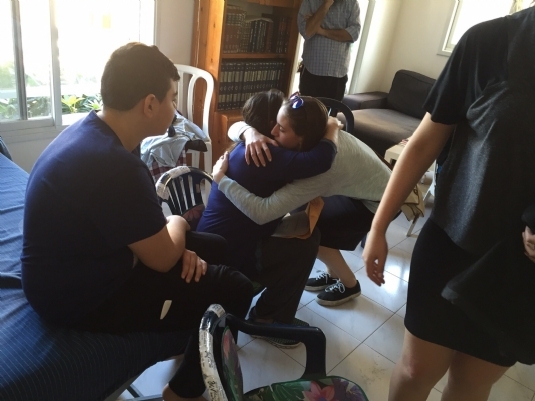 The families were so-so appreciative of the collective hug we were giving them on behalf of Klal Yisroel. He was shaking his head in disbelief that these young people had come all the way from the United States to see them during the shiva. This is how our CTVP group and the students were welcomed in each house and by each person. Their gratitude was overwhelming, their hearts moved with emotion at this outpouring of love. This is what CTVP does day in and day out. Our mission is to bring comfort, hope, and support – financial, emotional, spiritual and practical – to victims of terror and war in Israel and their families. This is what we do – the only thing we do.